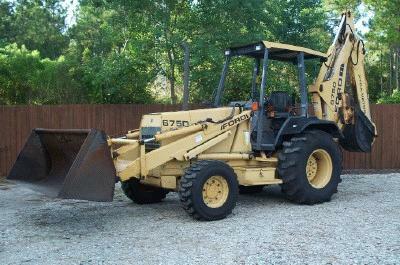 1996 Ford 675D Rubber Tire Backhoe/Loader. Extendahoe, 4 x 4, 93 HP Turbo Diesel, 3537 Hrs. Quick disconnect on front loader, Pemberton Stacking rake, Loader forks and additional 12" trenching bucket included. Has 24" bucket attached on machine. Stablizer flip pads. Strong machine, ready to work. Asking $22,500.00 Not interested in trades, thanks!